The younger brother to the late Isiaka Adeleke, Ademola Adeleke has emerged unopposed as the candidate to represent All Progressive Congress( APC), in Osun West Senatorial District in the July 8 by-election. 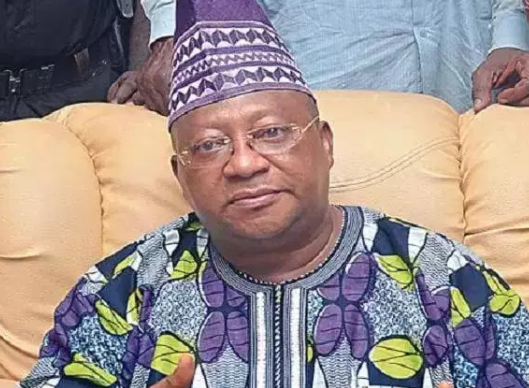 Adeleke was declared unopposed to grab the party’s ticket, following the disqualification of his only opponent in the race, senator Mudashir Husein, who is a serving commissioner in the state. According to reports, a 5-man panel was set up by the National Secretariat of the APC to conduct a thorough screening for aspirants and during the process, three out of the five aspirants that picked up nomination forms as at Friday stepped down midway into the screening exercise, leaving Ademola Adeleke and senator Mudashir Husein in the race. The panel, however, frowned at the candidacy of Husein, who they said ought to have resigned his appointment as a Commissioner at least 30 days before expressing interest to contest for the vacant senatorial seat.